With a growing business servicing the Metro Detroit area for air duct cleaning, Amistee Air Duct Cleaning located in Novi MI recently moved to a larger facility. 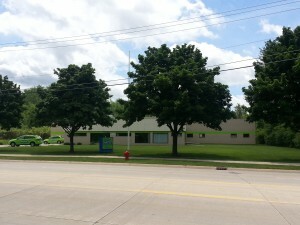 Owners Mike McCowan and Steve Dickinson insisted on having a centrally located headquarters to their duct cleaning clients in Michgian. Amistee is now able to offer in house training with real a life settings. Amistee has produced a training facility like no other. It offers potential employees and current employees the chance to try new equipment and learn new air duct cleaning techniques on duct systems that are found in both commercial air duct cleaning and residential air duct systems. Fully functioning furnaces connected to see through air duct systems allow bystanders to see how the cleaning tools affect and properly clean an air duct system. This allows Amistee the ability to enforce its high standard in the cleaning industry. If you are looking for the best air duct cleaning in Michigan call Amistee today. Call 248-349-8877 today!